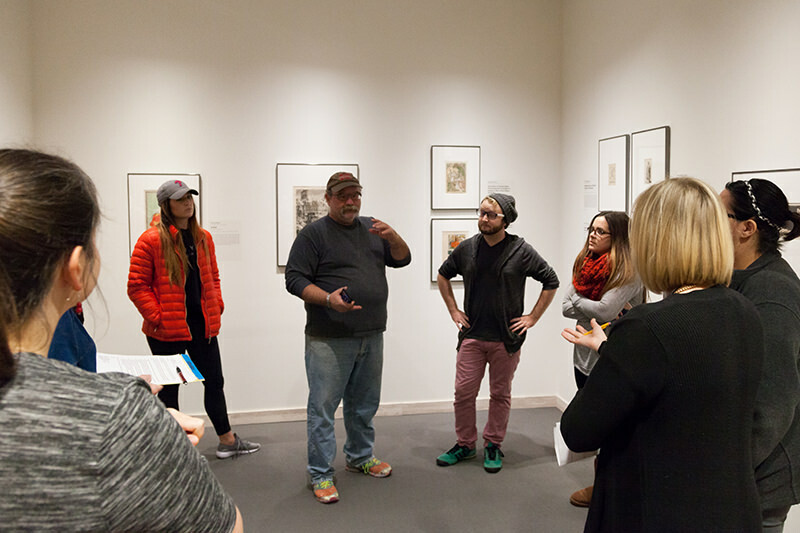 At Sheldon Museum of Art, we explore art's potential to spark awareness and engagement within the university community and democratic society as a whole. Working in partnership with artists, community members, and scholars, we create programs that invite multiple approaches from different disciplines and cultures. Using objects as our focus, we bring viewers together to look closely, think critically, and ask questions about how American art reveals the shape of American life and society—both throughout our history and in the here and now.